Save the Date – Saturday, June 13! Ardsley SAYF Coalition’s 2nd Annual Fun Run/Walk Honoring Dr. Jim Haubner! 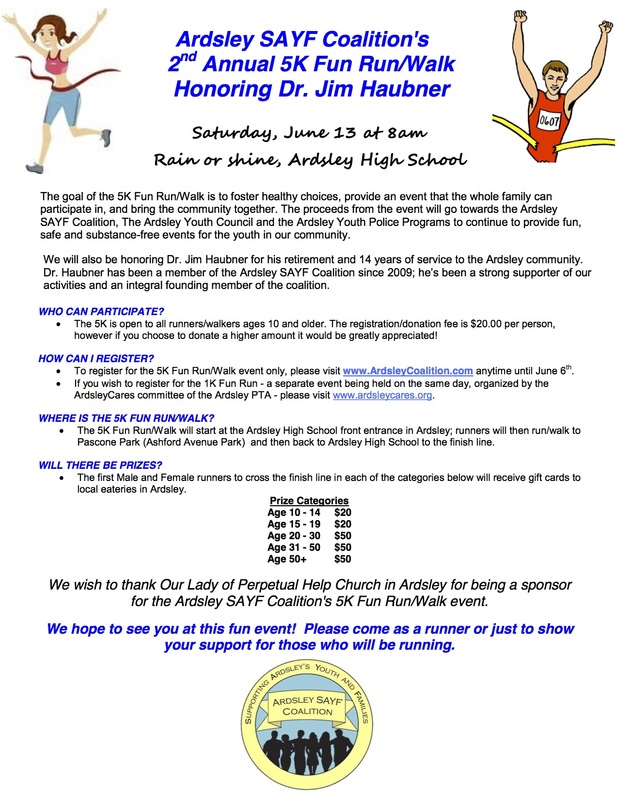 This year our Fun Run/Walk is honoring Dr. Jim Haubner, Principal of Ardsley High School, as he retires at the end of the school year. Come on out and be a part of this great community event, in honor of Dr. Haubner! Reserve your spot today! Click here to register for the 5K! Next Post Thanks for Supporting the Ardsley SAYF Coalition!